EVERYTHING listed on our website is in stock and ready to ship. Absolutely NO back orders. FAST shipping. Outstanding Customer Service! Exotic Products 12ga Shorty 00 Buck 1-3/4"
RareAmmo.com is an online ammunition store that stocks factory new ammo, military surplus ammo, law enforcement ammo, custom loaded ammo, ammo magazines, and accessories. 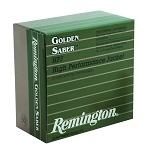 Rare Ammo, Bulk Ammo, Cheap Ammo, On Sale Ammo - all ammunition shown on our website is in stock and ready to ship. Best Price AMMUNITION. Whether you are looking for rifle ammo, handgun and pistol ammo, rimfire ammo, shotgun ammo, ammo cans, ammo mags, reloading supplies, or ammo accessories, RareAmmo.com carries all the ammunition you need. RareAmmo.com strives to have the best, lowest, cheapest ammo prices on the Internet. When comparing ammo prices, compare your total cost including shipping and handling fees where applicable. Some companies may appear to have the lowest cost for ammo, but inflate their shipping fees and/or handling fees. RareAmmo.com strives to give our customers the total lowest cost possible.